Contralto Gwendolyn Brown is one of the many talented singers making their Seattle Opera debuts in Porgy and Bess (opening this Saturday!). 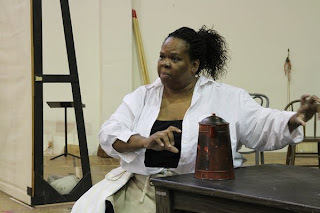 As Maria, Gwendolyn gets to hold the Catfish Row community together, haggle with the Crab Man, burn a secret flame for Porgy, and threaten Sportin' Life with a meat cleaver. Today we chat with Brown and ask her about her unique voice type, what it's like to play this fabulous character, and her past experience with this great American opera. You’re new to Seattle Opera…welcome! Can you tell us a little about your background? We’d love to know where you’re from, how you became involved in opera, and some of your favorite roles. I’m originally from Memphis, TN, and grew up with a strong Gospel music heritage. 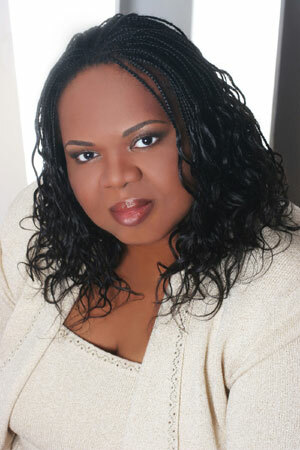 My world was Gospel music until I went to Carver High School where my teacher Yvonne Hull exposed me to classical music. I had more of a classical voice than a Gospel one, which I realized while at Fisk University as a Fisk Jubilee Singer™. But it was in grad school at University of Memphis where my appreciation of opera grew. While still in grad school, I was dared to audition for the young artist program at Lyric Opera of Chicago (then called “The Lyric Opera of Chicago Center of Young American Artists”). The dare was to motivate me to take a step of faith. I went to the preliminary auditions having little experience, and didn’t think I was going to make it. Well, I made the cut for the finals, and I was accepted as an apprentice in the young artist program. When the apprentice portion of the program ended I remained in the chorus. I used that time to allow my voice to mature, learned by observing some of the great opera singers of our time as they perform on Lyric’s stage, and kept my focus on my goals. I also sang developing roles, recitals during the off-seasons, and even was part of the young artist program at Des Moines Opera. Roles I love include Ulrica, Azucena, Erda, Gaea (in Strauss' Daphne, Quickly, Fricka, Cornelia, Madam Flora (The Medium by Menotti) and Baba the Turk (The Rake’s Progress by Stravinsky). I’m really exploring the full range of my fach at present, and enjoy these types of roles while exploring roles in American operas. Tell us about Maria. I get the sense that she’s a little sweet on Porgy—do you think that’s the case? Maria is matriarch of the community, a true example of one who understands the concept "it takes a village." She knows everyone, has helped in many births, nursed the sick, and seen many deaths. She is often sought for council. She's an entrepreneur. She has a stable business (as a shopkeeper, and “the best cook in town”) that’s stable enough to help support other businesses. But, she is quite wise with her money. While very spiritual, she is also quite grounded (after all, she does sell liquor in her shop and nearly curses out Sportin’ Life, the only person she truly hates). But, her love is genuine. She’s made of some sturdy stuff. There have been many interpretations of Maria as solely the “comic relief,” but she’s more than that—much more. I explore all her emotions and keep her an integral part of the story. Yes, Maria will have the audience laughing, but I also want the audience to feel her heart. In short, I work hard to make sure she is not a caricature. And yes, Maria’s sweet on Porgy, all right. She understands him and truly wants the best for him. She protects Porgy, but she knows when to let things happen in his life. I like to think she understands him the most. That’s why she, more than anyone, is able to let Porgy go when he decides to go after Bess. 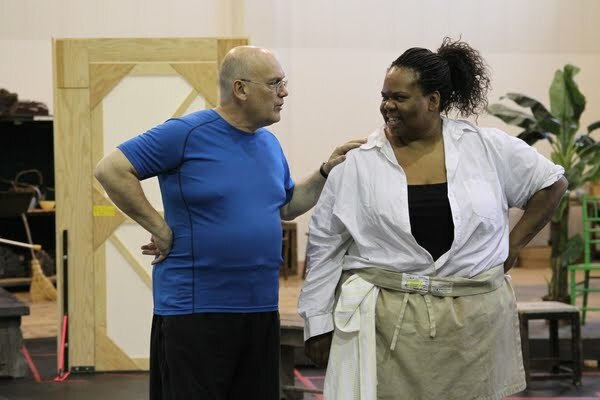 Stage Director Chris Alexander shares a smile with Gwendolyn Brown in rehearsal. One of the great highlights of Porgy and Bess is Maria’s “Friends with you, low-life? Hell, no!” Do you consider that piece an aria, a song, or a rap? Is it tricky to negotiate the speak-singing there? Do you use your full voice? [Laughs] No, this is not an aria. Historically, this is a "patter song," a moderately fast song that is spoken rather than sung, with full regard to the rhythm dictated in the score. Patter songs were commonly used in the musical comedies of the ’30s and ‘40s. I would not put it in the category of rap, but I would say that it is one of the historical musical forms that could be considered a predecessor of rap. Rap, to me, is lyrical poetry set to music. A patter song’s spoken lyrics conform to the rhythm set by the composer. Rap’s “lyrics” conform to the rhythm of the poetry while the music serves as its backdrop and rhythmic driving force. I play around with the opera and spiritual/gospel singers in me when I perform this. Because it is scored, negotiating the speak-singing is not really that tricky. I just keep the spoken part right in my middle voice where I sing. I also have experimented with certain inflections on words and exploring vocal colors, paying attention to the accents given in the score. Yes, I use my full voice, breath support and all. Just before the patter song, there is a part that is sung. I’ll just say that the voice I am using for that part— it ain’t fully operatic! What’s it like being a contralto? How did you figure out you’re a contralto and not a mezzo-soprano? It is awesome being a contralto. Over the years as my voice and I have matured, I’ve realized that having a rare voice type is such a unique gift, and I have become a good steward of it. In fact, I am humbled that I have this gift and am thankful. I’ve been blessed to have the help of some of the best voice teachers during my development. I wasn’t pushed too fast, which allowed the natural ability of my voice to fully mature. I had to learn patience during the time of development which included the ever-meticulous negotiating of the natural contralto lower passagio. My undergraduate teacher at Fisk University was Valija Bumbulis. At my first lesson (when I was 17) she told me “you are a true contralto.” At that time, I sang second soprano in Gospel choirs. But, she was right. She heard the richness and dark qualities of my voice even then. After hearing other mezzos, I was assured that I was a contralto, never doubting this for a second and letting my voice speak for itself. My range goes down to a low C below middle C (keeping the head/middle to chest mix even that low), and goes up to a high B-flat (high C twice a week and every other Saturday [laughs]). Much of this cast has a great deal of experience performing Porgy and Bess. What about you, what’s your background with this opera? I have a great deal of experience performing Porgy and Bess, as well. My first performance of Maria in Porgy and Bess was with Tulsa Opera, and I was Marietta Simpson’s understudy for Maria at Lyric Opera of Chicago while singing in the Porgy chorus. And I’ve recently done performances as Maria at Washington National Opera, Grand Rapids Opera, New Orleans Opera, overseas in Germany and Amsterdam on tour, and did a portion of the 75th Anniversary Tour in the US last year. I've also done a concert version at the Hollywood Bowl with the LA Philharmonic, and will do another concert version with Boston Symphony at Tanglewood just as soon as I walk off the stage here at Seattle Opera. A couple years ago, Porgy and Bess celebrated its 75th Anniversary, and I am quite honored to have played Maria during this time. Do you have a favorite performance of a song from Porgy and Bess by a non-opera performer? I know this is not a specific song, but I LOVE this medley performance by Sammy Davis, Jr. back in the ‘70s. I love the genius of Sammy Davis, Jr. In the video, he’s both Porgy and Sportin’ Life. His interpretation just leaves me in awe. Talk about your triple threat! I would have loved to see him do Sportin’ Life! You were great on opening night; we in the audience loved you, especially the way you regularly told "Sportin Life" off; hopefully, he'll be held in check by another strong woman in NY! !